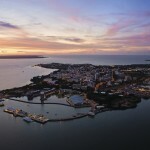 Katherine is perfectly positioned as a base from which to explore everything the Top End has to offer. The town of Katherine is the 4th largest town centre in the Northern Territory and is located just a few hours from the famed Kakadu and Litchfield National Parks. The town centre is well equipped with modern amenities including a shopping centre and hospital, and the beautiful Katherine River offers visitors a range of fishing and recreational activities. The region boasts the amazing Nitmiluk (Katherine Gorge) National Park, as well as further places like Elsey National Park, the Mataranka Thermal Pools and the stunning scenery of the Pine Creek River region. 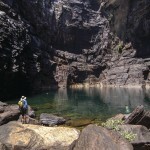 These places, just a short journey from Katherine, and fantastic options for day trips.